IGE Year of Korea Speaker: Dr. Wonyul Bae, "Why Are Korean Women So Good At Golf?" Dr. Bae’s primary areas of scholarly interest are sports marketing, sponsorship, intercollegiate sport, and sports agency. Currently, he is researching, publishing, and presenting about the golf participation motivation of Korean and American students who attend universities in the United States, and the reasons why Korean professional female golfers have been successful in securing such a dominant position on the LPGA Tour. 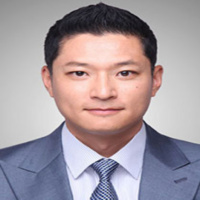 Dr. Bae is also a basketball agent for the Korean Professional Basketball League.